Good to see Roger hold his end up his end of the bargain as he set up a mouthwatering semi final against Djokovic by defeating Lukas Rosol 6-2 6-2. I expected 1 close set but after Rosol stormed into a 2-0 lead he went completely off the boil and Roger pulled away to win through in 58 minutes. It wasn't the greatest match to watch as Rosol made a lot of errors but we saw some pretty crisp ball striking from both guys. Just like the Becker and Stepanek match I thought Roger looked sharp with his footwork and moved well around the court. It's been a decent tournament no far and Roger is now in the semi finals without having to really find top gear; he got a little lucky in places vs. Stepanek but if he's timed this one right he should be able to go up a gear against Djokovic which he'll undoubtedly need to. Just like the Stepanek game Roger lost his opening service game to let Rosol lead 2-0 in the blink of an eye. It was short lived for the Czech though as he lost the next 6 games as Roger won 27 of the last 33 points to close out the set 6-2. Aside from losing serve the set was spot on from Fed as he hit 10 winners to just 2 unforced errors and broke his opponent 3 times. I'm not so sure why Roger keeps getting broken early this week though, just a little slow out the blocks. Rosol slapped a few decent balls into play and Roger got caught a bit off guard. Imperative he cuts that out though against Djoker as 1 break can often decide a set. After Rosol's game went off the rails from 2-0 he failed to regroup in the second and Roger pulled away with relative ease. Nothing much to talk about to be honest, few nice points here and there but an easy set to win from Federer's perspective. If Rosol was a little bit more seasoned he'd have been able to reign himself a bit and try play with some consistency but he just kept going for it. If it had come off then it would have been great but he just made too many errors towards the end and Fed coasted over the line. Always good to see him cruise through though and a short match worked out well here as it means he is fresh for the semi final. When you play someone for the first time, you never quite know what his best level is or his normal level is. That's why you kind of keep pushing on, and that's also why I guess the score came out the way it did, because I never let go. Not much to learn from a match like this to be honest, Fed was far too good and Rosol not at the races. Positives were he broke back immediately and dominated from there after. Few lose-ish points but when you are playing someone like Rosol who is trying to hit a winner off every ball then I think that's expected. There were a couple of clutch(ish) plays too when he Rosol was getting into his service games which is always nice to see. I.e. point of the match video above at 15-30. Stats wise it's all nice reading with winners outnumbering errors, solid at the net and good on the break points. One area that is a little concern is the points won behind the 2nd serve, Djoker is a great returner so I think that will have to be higher tomorrow. Djokovic who didn't play today after Youzhny withdrew. The Russian had a pre booked tour of the Burj Khalifa which unfortunately clashed with the match. I don't think the withdrawal makes much difference to be honest and I think that if anything Djokovic would have wanted to play. It's not like he is over tennis-ed and his last 2 matches have been easy peasy. Predictions wise I make Djokovic the favourite but I always enjoy watching Djokerer play as it's a good matchup so I'm looking forward to it. Fed always has a chance but over the last 2/3 years Novak has definitely held the edge over him. They last met in London and before that Paris with both matches being pretty similar and Djokovic the worthy winner. I make Djokovic the favourite for tomorrow's encounter and about the 1/4 favourite so that means I give Fed about a 20% chance of winning. I think Roger has looked sharp but he needs to do more here. It's not like he has to do anything special or play outside his normal game though, just has to hold serve and be very very solid. Always a chance that can happen all depends on whether or not his game clicks. Solid in all areas, kept pushing right till the end to progress for the loss of just 4 games. Couldn’t watch the match today but I’ll definitely look the highlights up. And Fed should definitely give up this habit of getting broken on his oppening games!!! He didn’t give up the habit of being broken in his opening games but it didn’t matter! Allez! Bring me the DJOKER!!! C’mon Federer!!! After a rollercoaster match against Radek is good to win like he did today: fast and solid. Loosing or not is already a good tournament for Roger as I think that he’s not going to be tough enough for this match, but anyway as I said before the most important is keep building the form, keep being safe in the early rounds to later in the season (Wimbledon is my hope) be in the top of his game and be a real threat in the big tournaments and win regularly big games like this. Allez! You missed on a good one here man, some crazy shots from both. Serve better he did. Very sharp. That’s what I thought too trudi. Glad we didn’t ride another coaster., enough scare already. Good analysis as always Jonathan, he looked sharp and moved well, though at times he appeared to be lazy or too casual, or even too nice to the opponent, well to me anyway. Look forward to seeing him against Novak today. Just hope for a great match. Allez! Roger will almost certainly have to win in straight sets to have a chance because Djokovic’s deciding set percentage is so good, and for a reason. Nice for Roger to have a routine and quick match today so he can save a little energy for tomorrow. Another one like yesterday’s would have made things tough for him, especially with Novak having a day off. Although as Jonathan said that might not be such a good thing. Novak seems to have had very little play altogether this year. I’m looking forward to the match tomorrow. I don’t think Roger will win – not yet – but it will be interesting to see if and how he manages to up his level a bit when he has to. He did that in Australia against Tsonga, but hasn’t really needed to today. Most important thing is we get a good match with both players being competitive. Totally agree re the 2nd serve return stats! Has to do better v Novak. Fed deserves a break so am taking him to win in 3. Has to surprise Novak and keep him off balance, and has to play the right approach otherwise gets passed! Mix it up, lots and lots of low raking sliced bh’s and serve brilliantly. 3rd time lucky in as many months! Can’t wait as yes u r right, their match up makes for great tennis. We are so lucky! 3 wins and 3 great posts! Spoiled!! First time against Djoko with the new stick and the new coach and the new aggressiveness and the new back all together. Will be interesting! In the early days of the rivalry (2004-2007), Roger was at the peak of his game, filled with confidence. Title after title piled up in his trophy cabinet, and along comes Nadal. First match he loses to a 17-year-old, but he had a cold that day, so I doubt he was too worried. Next year Federer dealt Nadal a huge blow by beating him from 2 sets to love down. Here is the important match. The Fedal French Open 2005 semi. Roger wins it, he destroys Rafa’s clay run and puts a huge dent in his confidence. In this alternate universe, maybe Rafa never overtakes Roger, and Roger wins 25+ slams. I think that this loss crushed Roger’s confidence against Rafa. Match is even at 1-1, and then in the third Fed has triple break point (IIRC), and fails to take it, Nadal breaks and takes the set. In the fourth Roger is up a break, loses his serve, wastes time arguing with the umpire about the light (an obvious sign of agitation),and then drops serve again to lose the match. From that point on Nadal dominated, getting closer and closer at Wimbledon each year, riding a wave of confidence from his French Open streak, and eventually beats him at W 2008 and AO 2009 to put the nail in the coffin of the rivalry. I have heard questions such as these on tennis forums: ‘if you could reverse one match result for your favourite player, what would it be?’, and for me, its the 2005 FO semi. If you reverse that ONE match, Roger has 25+ slams, and probably a head-to-head record similiar to Federer-Djokovic, even including post-prime losses. Anyway all the above is speculation, but as for what Roger should do right now, to maybe have even a small chance of scoring a famous win over Rafa in the future, he should completely go for broke. Del Potro style, slam the first serve, rip the forehand, any weak second serves smash them, even he misses it can put a doubt into Rafa’s mind, and use gamesmanship of his own e.g. IW 2012 if Rafa tries anything. Knock over his water bottles, make Rafa wait on his serve, don’t get up from his chair until Rafa does, etc. That to me is the most important thing of all. No more Mr Nice Federer when playing Nadal. Down a break in a set, hold up Nadal’s serve, make a random complaint to the umpire to delay play, and if it comes to it, when Nadal serves for the match, take a bathroom break as payback for IW 2012. It is the only way he has a chance nowadays. In his prime he could move faster and step around more backhands to hit forehands, but now he just has to hit out at everything, because he cannot match the defensive skills of Rafa in a baseline slugfest. OK, enough Fedal. As far as the match tommorow goes, I am going to go for a completely wacky prediction. Federer to win 6-3 6-1. You heard me. Hoping for a #GOAT performance tommorow. I would stop being a fan of Federer if he started to apply the same tactics as Nadal, even if it meant he would beat him. It’s not all about winning, it’s also about how you win (or lose). This “if you can’t beat them, join them” attitude is why sports are getting so corrupted. I think the “important match” was rome 2006, didn’t he have a couple of match points there and still lost? Yeah but Rome 2006 was just another blow, the first Fedal match in a GS was that semi, and I think that may have played on his mind when trying to close out in Rome the next year. Confidence is not the only factor, another factor was the speed that Roger had in his prime. He could avoid getting constantly pinned on his backhand and in both the Wimbledon finals and the third and fourth sets of W 2008 he was doing just that. Whereas now he does not really have the ability to execute an attack on Nadal’s backhand as well due to loss of speed. Hey Universal, thanx for your take on the Fedal “rivalry”. I am also a big fan of it, because of its connotations, not of the match-up itself. Personally, I think, it’s completely wrong though to put it down to confidence. If anything I think Roger is very brave to still go for his shots, even when he takes high risks with them. There’s a another reason that Roger is on the losing end of this “rivalry” more often then not. There’s a reason that Roger is often close for a set or in the beginning of a set or too, even up a break and still ends up losing. Imho it’s because he’s the one taking the risks, while Nadal can afford to never leave his comfort zone and still win. That’s possible because of Nadal’s superior power and stamina. He’s able to grind Roger down (especially on slowed down courts) and Roger will eventually lose some of the accuracy, which is why the last set in every game they play is mostly the least close. Very simplistic analysis reducing it just to a match. Roger is not that weak, he lost more matches against other oponents and it didn’t mean to be constantly loosing against them. Federer had big problems to deal with Rafa even when he was a teenager, what did you expect from him when Nadal reached his peak? We never got to see them really face off on all surfaces when both in their prime though. Which is somewhat of a shame. Its difficult to read his current form now as Rosol was the one who imploded. Its good that he manage to win in less than 1 hour. Quick match get some rhythm and court time. 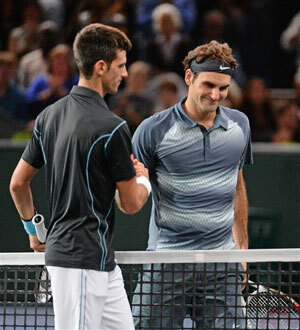 Djoker is no slouch and he will try to pull Roger into baseline rallies. Roger has to serve well and mix it up, otherwise he is in for a long match tonite. Guys, we all know what to expect in a Fedal matchup. But why so pessimistic going against Djokovic? I’m sure that Roger loves this challenge. It will tell him where he is with his game. And it’s these matches he needs to win again if he want’s to make an impact. Since he now decided to call his next child Alex and not Novak, he can as well go and beat him tonight. 7:6, 6:4! Hope your blood test is fine, and shows high level of both red and white (=Swiss) fedfan-cells! Oh Rita, you are going as well? Lucky you too 🙂 I envy you…How about Simon and you writing DC experience recaps as Jonathan probably wouldn’t, plz? Not sure I’d be any good at that Wanda, so won’t promise anything. Lucky you! Cheer for us too!!! Very cool you both get to go! And I second the “recap post” request – You could both talk about the experience, and Rita, you could leave the tennis analysis to Simon if you like, and WE would all be the winners! Yeah full fan experience write up required! Lol…buffoons, both of you Chris and Pablo. Very good returning stats though, quite impressive that Rosol could only win 48% of his first serves! Did he serve so bad or did Roger return so well? In his previous match he won 80%. I think he may have felt a bit rushed when he went for his shots, which is why he erred more often. Upcoming match with Djokovic… usually a good match-up, though I agree with the chances you give. Djokovic is the more consistent; he almost has sth. mechanical. To some worrying about H2H: I don’t think H2H is of any importance in itself, so I understand that Roger doesn’t seem to care. It’s only important as far as it prevents you to have chances at a title or gives you these chances. Roger is already punished severely by losing major titles because of bad h2h, why count it twice against him? It’s not astonishing that Nadalites started to give importance to such a in itself meaningless stat. The mechanical metronomic thing is what Fed has to break up and stop. Mix it up, lots and lots of slice, chip and charge. Djoko hates to be on back foot, hates to lose his rhythm. Give him some junk, rush the net on the RIGHT shot and serve vvv well! Come on Roger! The king is back Ute! Ps wish Murray had lost to Simon as will prob get back to 5 in rankings now! Come on Grigor! Do we think both Delpo and Ferrer will pull from IW? I think Delpo def will! Did you see him fall? Hilarious. Rooting for Fed even if it looks bleak! I hope he wins…something tells me he needs just one break, juuuuuuuuust one…and ds yr he will be winning GS to impress Stefan. I’d love to see Kohlschreiber win this first semi and thought he had a chance there in the first set. Didn’t hold his nerve though. Berdych scares me. Wouldn’t like to get on the wrong side of him. He will look for you, he will find you and he will kill you. Off course I think Berdych is probably alright. Grown on me slightly over last 12 months. 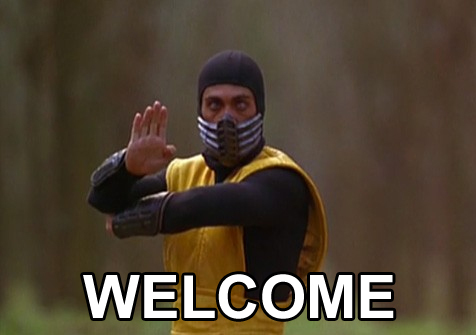 Well I just wanna be the first one to say…. ***k you Pablo..
Or Ajay, like the commentator said at the end…. (today) Fed was FAB !!! YEZZZZZZZZ. Love you Roger !!! Now lets take Berdych down. He has won a title after 16 months. That’s enough. Now… it is your turn !!! Told you he would do it in 3!!! He really believes against Novak! Wld like the same v Berdych Plse! Hey Susie, I just for now want one thing. For Roger to beat that discusting and too long going Mac Enroe curse !!! Come on Roger, you can and will defeat Berdych. This is the SAME guy who almost lost the first set to Kohli…. Just one more time JesusFed please….. Yes Con Roger. Please beat berdpoo!!! So….. exactly why has Novak hired Becker??? And again….. did you see the way Roger was running that he is 6 years older??? Boris is looking a little strange these days, isn’t he? Sort of bloated. I hope he’s okay. Agree Rita, I’ve been thinking that for a while about him. Ironically, I have wondered if he would benefit from a gluten-free diet…. Something’s changed with Roger, when he lost the first set I thought he was done. Maybe Stan’s win gave him the belief or expectation of getting the job done in 3. Could be. Definitely mentally tough today. What a win. So immense. Thank You Roger Federer for that display. Fed is feeding off Stan’s victory and realizing he can be the GREAT FED again! Utch, interestingly – and I just realized this today – if you go through the process to register for live chat, and then you log in, you are still logged in for comments on the blog & you don’t have to enter your name/email each time. If you are not logged in for live chat, then you are not logged on the site, and you have to enter your info (although I think if you make 2 comments during the same visit, it remembers who you are for the 2nd time). Yeah do tha Utch, if you are logged in for live chat then it pre populates the fields. Otherwise you have to type them in every time. If you are on Chrome it usually remember them when you start typing too. Congratulations Roger and all his supporters. A fantastic win! Good day for all Fed fans all round. Roger has always played well against Novak. I’m not all that surprised. It’s only against Nadal that he fails to bring in intuitive style of play, which he did today. That was amazing to see. Could be one of the better matches played this year. Perhaps the cherry no top of this cake is that he came back from one set down. Actually Susie, don’t we want Novak to stay with Becker??? I mean, with Becker, he is atleast beatable. Huge win really considering how the balance of power has been for the last 18 months. Have just seen tomorrow’s match is on at 7pm again – so not before 4-4.30, and I have to go out at 5.30!! That’s so annoying. Wish I could Thinker, but I have to meet someone at the airport. Can’t really ask them to change their flight so I can watch the match (although I did think about it momentarily). I am supposed to be watching my daughter play a ratings tourney in Sutton, South London, so hopefully will get Wifi and watch whole thing on Tennistv!!! Won’t tell the daughter!!! Musty take recent on Birdman! Especially after last year! Btw is Edberg actually in Dubai??? Anyone seen him! I don’t think Stefan’s there, Susie – didn’t Jonathan say he had heard he was supposed to meet up w/ Rog in IW? Careful you don’t cheer at the wrong moment of dtr’s match!!! Giving Ferrer a massage. He’s strained a muscle. If Roger plays anything like today Tomas will be eating bakery products but I will say that he only plays one set like today and the other is closer so I will go with 6-1 6-4. Helen W,Did my posts say this blog was overloading on Federer crctiiism or Federer generally?And why is it that everyone who makes a critical comment about the content of a post here is told “just don’t read it” or “just don’t post”. What’s up with that? That’s probably the 4th time I’ve seen a comment like that and it makes me wonder if certain posters would rather just rather have everyone agree with their point of view or make themselves absent.